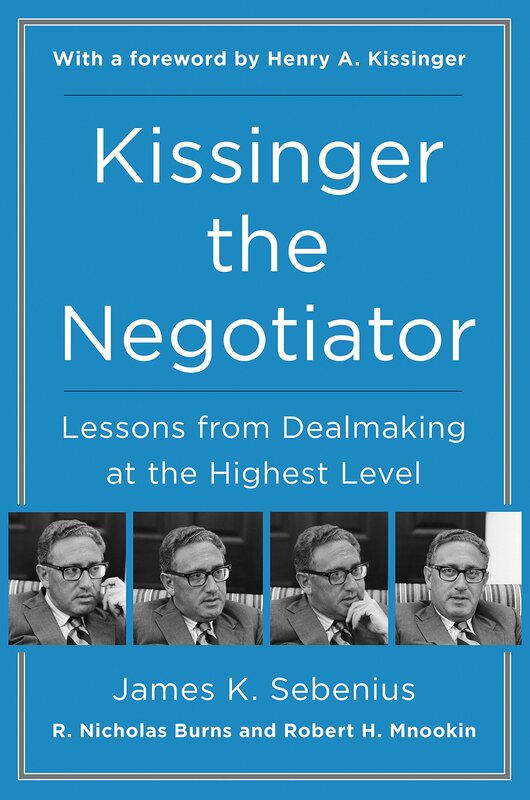 The concluding chapter offers fifteen “Key Lessons on Negotiation from Henry Kissinger” and provides a checklist to use if you’re ever bargaining across a table. Which begs the question: What happens when your opponent has a copy of the list? The professors add a caveat, however, for leaders who negotiate in areas in which they lack knowledge: “Make sure that your team possesses this knowledge.” Do they mean “Know yourself and seek self-improvement,” which has been taught to soldiers, sailors, airmen, and Marines for ages? What the authors call the book’s “key lessons,” therefore, are not new. In the situations cited, they were effective because of Kissinger’s skill in choosing and applying established tactics. 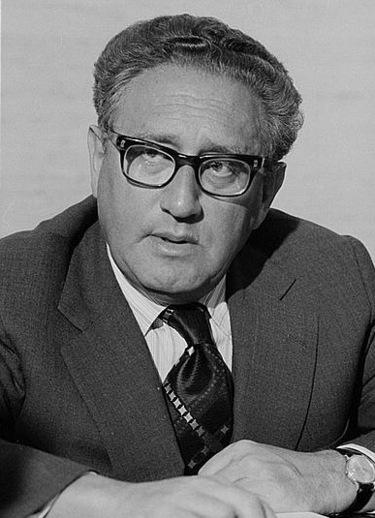 For example, the authors emphasize Kissinger’s talent for “zooming out” to set strategies and “zooming in” to contend with difficult opponents. The authors describe the miasma that engulfed Kissinger in making Vietnam War policy. “No,” they say, was the operative word from everybody he encountered: the U.S. Congress and public, North Vietnam’s Le Duc Tho, South Vietnam’s Nguyen Van Thieu, and Chinese and Soviet diplomats. Even West German officials added to the discord. For years, Kissinger pursued America’s Vietnam War goals for good or bad despite Richard Nixon’s showing his hand by withdrawing troops starting in 1969. The authors classify Kissinger’s early bargaining position with the North Vietnamese as “weak.” But his determination was formidable, they say, in pursuing tasks bordering on the impossible. While reading about Kissinger versus the North Vietnamese, I kept thinking that he could have stayed home if a president had targeted B-52s over Hanoi seven, or even five, years earlier. With more than one hundred of the book’s pages devoted to notes, bibliography, and index, arguments about negotiation techniques fill less than three hundred pages. Nevertheless, the book provides interesting views of history and Kissinger’s role in the action. William Burr, a senior analyst at George Washington University’s National Security Archive, and Jeffrey P. Kimball, an emeritus professor of history at Miami University in Ohio, did extensive research (mainly by conducting interviews and researching declassified documents) for their book, Nixon’s Nuclear Specter: The Secret Alert of 1969, Madman Diplomacy, and the Vietnam War (University Press of Kansas, 445 pp., $39.95). The book looks at the initial effort by President Nixon and his National Security Advisor Henry Kissinger to bring an honorable end to the war in Vietnam by trying to win concessions from Hanoi at the negotiating table through coercive diplomacy. This when the Madman Theory came about, with Nixon threatening excessive force, including possible nuclear strikes, to try to convince Hanoi and Moscow to end the war sooner rather than later. Nixon started with verbal threats, then authorized bombing NVA and VC bases in Cambodia. Next came a ruse that the U. S. was planning to mine Haiphong Harbor. Planning for the nuclear option also started. That drastic step had been considered several times since World War II, including during the 1954 disaster at Dien Bien Phu when the French were begging for U.S. air support; during the 1958 Lebanon crisis; and during the Cuban missile crisis of 1962. This book covers the Vietnam War year of 1969 month by month in almost mind-numbing detail. It focuses on what our nation’s leaders said to whom, and when and why they did. The key players are Nixon, Kissinger, Russia’s Anatoly Dobrynin, Secretary of State William Rogers, Secretary of Defense William Laird, and JCS Chairman Earle Wheeler. What the authors reveal is the intense, behind-the-scenes plotting and planning that Nixon and Kissinger carried on in 1969 as they desperately tried o find a way to move the Vietnam War peace talks with Hanoi to fruition. Nixon and Kissinger resorted to playing “good cop–bad cop” with Dobrynin. Yet, always in the back of their minds was what they could do to make Moscow put pressure on Hanoi—but not go so far as to put the Soviets on the alert and escalate tensions between the super powers. This book reveals Nixon’s negotiating strategy: talk tough, make threats, rattle sabers, then think better of the risks involved and back down. The reader or researcher hungry to know every last detail of the interactions between the aforementioned players will find this book satisfies that need and then some. The notes alone cover eighty pages. The bibliography runs sixteen pages. Some sobering realizations came about as a result of the authors’ research. By 1969, Nixon and Kissinger—as well as the majority of Nixon’s inner circle—had decided that the war in Vietnam was unwinnable. The overlying principle motivating Nixon and Kissinger therefore was not how to win the war, but how to get our forces out without appearing to have lost. The aim of the North Vietnamese was to drag out negotiations until the American people tired of the war sufficiently to demand that we throw in the towel. So, while this “unwinnable” war dragged on from 1969 until 1973, more than 21,000 Americans died. Nixon’s “Madman” strategy failed. His ruse of preparing to mine Haiphong Harbor and to set SAC B-52 bomber “readiness” exercises and 6th Fleet maneuvers failed to get Moscow sufficiently worried about what we were up to. It was not until 1972 when Nixon authorized Operation Linebacker II, unleashing B-52 bombers over Hanoi, that they decided to sign a peace treaty.